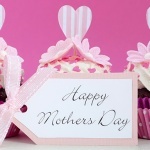 Read on and we’ll let you in on our favourite (and extremely delicious) flour based recipes to truly treat your mum, who we’re sure deserves it. (Even if she did raise a child who isn’t great at remembering dates.) We’re nice like that. 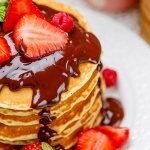 Start Mother’s Day on a high with breakfast in bed! When you were a little kid you might just about have managed to serve mum a slice of chocolate spread smeared toast. But your culinary skills are no doubt more refined and sophisticated now. 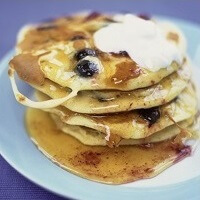 So we’re thinking pancakes! We love Jamie Oliver’s simple, yet splendid, recipe to make fluffy, light, melt-in-the-mouth pancakes using just four ingredients (and a pinch of salt). Plus whichever delectable toppings you’d like to add: maple syrup, bacon, bananas, melted chocolate, cream, lemon, blueberries, vanilla ice-cream… need we go on? And if that sounds too complicated, probably best to stick with the toast. Fun fact! Pancake batter is almost identical to Yorkshire pudding batter. So if your breakfast went down a treat, you should have roast beef and Yorkshire pudding in the bag for Sunday lunch. 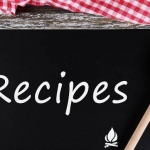 This Yorkshire pudding recipe from The Telegraph serves at least six, ideal if you’ve got the family coming over for lunch. 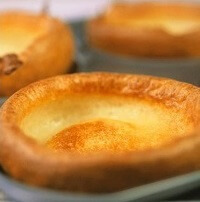 Our two top tips for crispy, perfectly risen Yorkshires? One, whisk away any lumps so your mixture is smooth and aerated and two, heat the fat in the baking tin first before pouring in the batter. Oh and make sure the fat stays hot too by putting the batter straight into the oven once you’ve poured it and leaving the oven door closed until your Yorkshires turn golden! Bring some British class to your Mother’s Day with a homemade afternoon tea. Back in 1840 (when crinolines and corsets were all the rage) the Duchess of Bedford started the afternoon tea trend. The fashionably late dinners of the time meant a light snack at 4 o clock was welcomed by the nobility and us Brits have been enjoying afternoon tea and scones ever since. Our favourite recipe for the perfect scones comes from no other than baking goddess Mary Berry. 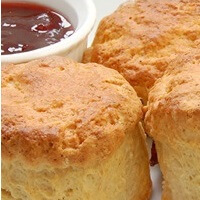 Don’t forget the clotted cream and jam or if you prefer savoury scones you can use the same recipe – just add cheese and a pinch of salt and pepper in place of the sugar. Scones are so quick to make; it only takes about ten minutes to bake them. So you’ll have just enough time brew a pot of mum’s favourite tea and lay out the best china. Still think flowers beat flour? The final recipe we have for you is our pièce de résistance and if this doesn’t change your mind nothing will! 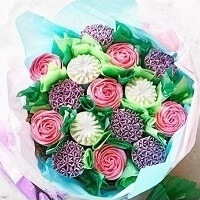 BBC Good Food’s cupcake bouquet is a recipe for the more intrepid chef, but the stunning results are worth the hard work! This recipe is a true floral triumph that will be the icing on the cake of mum’s day. And just like that Mother’s Day is saved! Your home baked treats will be so thoughtful, mum will never suspect you left it so late to prepare. You’re welcome. We don’t just know ridiculous amounts about repairs, you see. Once we’ve finished fixing our broken ovens or electric whisks we do sometimes get around to using them! But as always, if a faulty appliance in your kitchen is preventing your culinary genius from being unleashed, we’ve got the spare parts and accessories you need to fix it.